Vector and BMW have joined forces to create a special edition smartwatch to celebrate the car giant's all-electric i3 and i8 motors. The special edition Vector Luna Smart Watch BMWi Edition uses the same leather for the strap that's used for the seats of the i3 and i8 cars, and the logo is embossed into the strap. The body of the watch itself is a standard Vector watch, with a black stainless steel case. It's slightly reminiscent of the more basic Vector watches in the line-up, and we always preferred the gold and rose-gold versions. However, a big upgrade is that leather strap, with the iconic BMW blue stitching, it does look rather special. 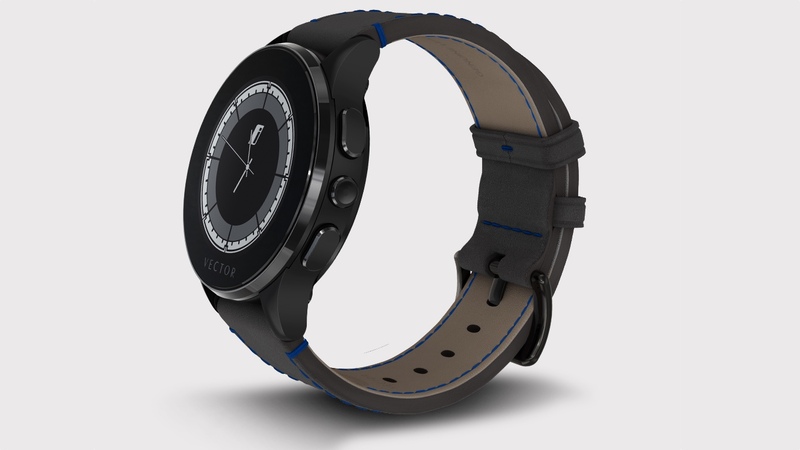 The Vector smartwatch was released back in 2015, and puts its 30 day battery life at the centre of its offering. It's achieved by using a low-power screen, which does impact on the luxury aesthetic somewhat, but it's been backed by a loyal if small developer community, and there has been plenty of new features added since launch, including sleep and fitness tracking. The Vector watch hasn't exactly changed the smartwatch game in the 18 months since launch, thanks in part to its poor screen and limited ecosystem. It's somewhat of an old-school tie-in for the two brands, and watchmakers often release limited edition pieces for car brands – think Tag Heuer's long association with F1 and Tudor's partnership with Ducati. Only 150 special edition devices will be made, costing $589 a pop. It's not the first time that a car company has teamed up with a smartwatch brand. Audi partnered with the LG Watch Urbane LTE, with apps to let you lock, unlock and sound the horn of your car. However, there doesn't seem to be much in the way of functionality with the Vector tie-in.